I recently added the first image/entry shown below to the Trombone History Timeline (17th century–first half). The painting is noteworthy for three reasons, in my opinion: 1) the performers appear to be upper-class, 2) the trombonist is female, and 3) it bears at least a passing resemblance to two other trombone paintings, also from the early 17th century, that depict “concert” scenes (see 1600s and c. 1610, below). 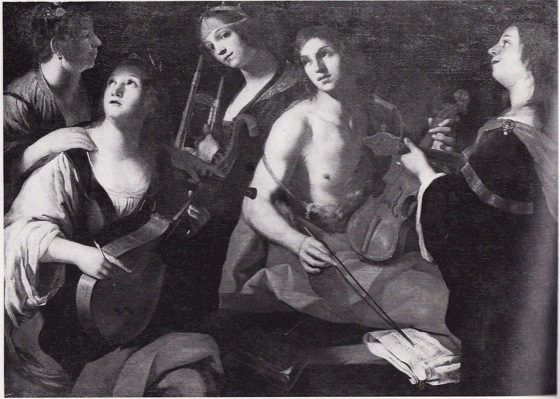 For a related article, see Females in Trombone History, 1500-1900.
c. 1615—Italy: Sienese artist Francesco Rustici (sometimes known as “il Rustichino”) includes what appears to be a trombone in his painting, Concerto. The trombonist, standing in the middle-rear, appears to be female (see below image; public domain) (Museo di Arti Figurative; Markova). For a color detail of the trombone (labeled “trumpet” on the site), see here. 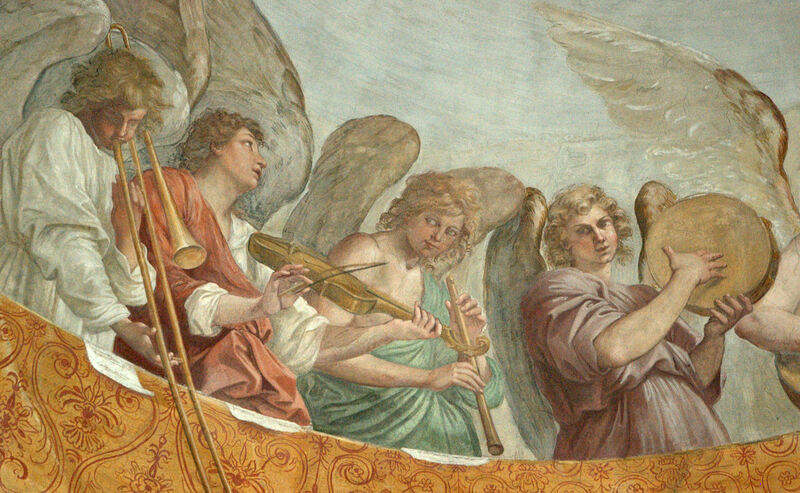 1600s—Italy: An anonymous Italian painting portrays an instrumental ensemble with diverse dress and a mixed grouping of winds, strings, and keyboard (see below image; public domain). 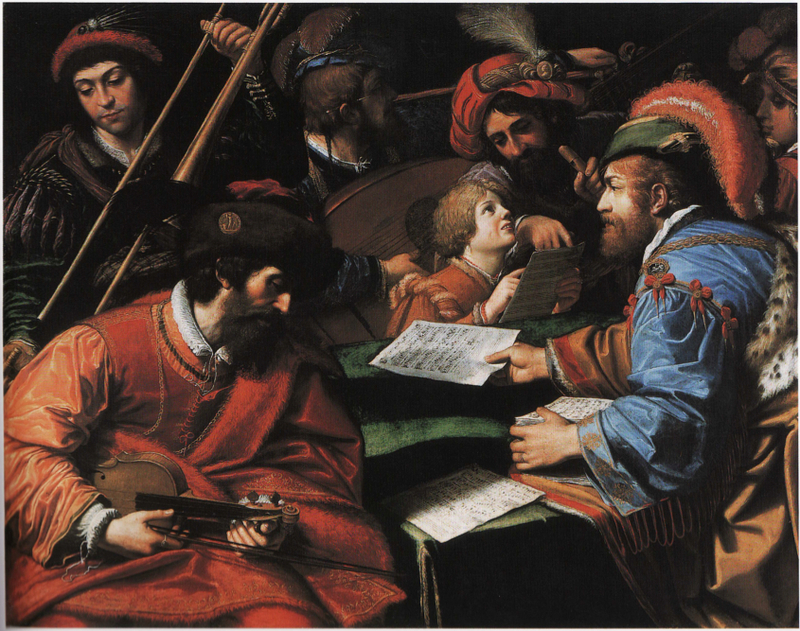 c. 1610—Rome, Italy: Lionello Spada’s painting, Concert, which shows a group of musicians presumably preparing for a performance, includes a clear depiction of a musician removing the outer slide of a trombone (see below image; public domain) (Egan; Monducci 81).